AwardWallet receives compensation from advertising partners for links on the blog. The opinions expressed here are our own and have not been reviewed, provided, or approved by any bank advertiser. Here's our complete list of Advertisers. Limited Time Offer! Earn 100,000 Bonus Points after you spend $5,000 on purchases in the first 3 months from account opening. New Name. New Look. Same Great Benefits. The Marriott Rewards Premier Plus card is now the Marriott Bonvoy Boundless™ card! An additional Free Night Award (valued up to 35,000 points) every year after account anniversary. Earn 6X Bonvoy points per $1 spent at over 6,700 participating Marriott Bonvoy hotels. 2X Bonvoy points for every $1 spent on all other purchases. Automatic Silver Elite Status each account anniversary year. Path to Gold Status when you spend $35,000 on purchases each account year. 15 Elite Night Credits each calendar year. Earn unlimited Marriott Bonvoy points and get Free Night Stays faster. Welcome Offer: Earn up to 75,000 Membership Rewards® points. Earn 50,000 Membership Rewards® points after you spend $10,000 and an extra 25,000 points after you spend an additional $10,000 all on qualifying purchases within your first 3 months of Card Membership. Get 5X Membership Rewards® points on flights and prepaid hotels on amextravel.com. Get 50% more Membership Rewards® points. That's 1.5 points per dollar, on each eligible purchase of $5,000 or more. You can get up to 1 million additional points per year. 35% Airline Bonus: Use Membership Rewards® Pay with Points for all or part of a flight with your selected qualifying airline, and you can get 35% of the points back, up to 500,000 bonus points per calendar year. Enroll to get up to $200 in statement credits annually by getting up to $100 semi-annually for U.S. purchases with Dell. Terms apply. Get one year of Platinum Global Access from WeWork With this membership, you can access 300+ premium, inspiring workspaces in 75+ cities. To get this exclusive offer, enroll between 2/15/2019 and 12/31/2019. Welcome Offer: Earn 125,000 Hilton Honors Bonus Points with the Hilton Honors American Express Business Card after you spend $3,000 in eligible purchases in the first 3 months of Card Membership. Earn Hilton Honors Bonus Points for each dollar of eligible purchases on your Card: 12X at hotels and resorts in the Hilton portfolio, 6X on Select Business & Travel Purchases, 3X Everywhere Else. Terms & Limitations Apply. Enjoy complimentary Gold status with your Hilton Honors Business Card. Earn a Weekend Night Reward from Hilton Honors after you spend $15,000 in purchases on your Card in a calendar year. Earn another Weekend Night Reward from Hilton Honors after you spend an additional $45,000 in purchases on your Card in the same calendar year. Relax with 10 free airport lounge visits each year once enrolled in complimentary Priority Pass™ Select membership, which offers access to over 1,000 lounges in over 120 countries. Every calendar year you make $30,000 in purchases on your British Airways Visa card, you'll earn a Travel Together Ticket good for two years. $0 intro annual fee for the first year, then $95. Earn 125,000 Hilton Honors Bonus Points with the Hilton Honors American Express Ascend Card after you use your new Card to make $2,000 in eligible purchases within the first 3 months of Card Membership. Earn a Weekend Night Reward from Hilton Honors after you spend $15,000 on purchases on your Card in a calendar year. Earn 12X Hilton Honors Bonus Points for each dollar of eligible purchases charged on your Card directly with a hotel or resort within the Hilton Portfolio. Earn 6X Hilton Honors Bonus Points for each dollar of eligible purchases on your Card at U.S. restaurants, U.S. supermarkets, and U.S. gas stations. Earn 3X Hilton Honors Bonus Points for all other eligible purchases on your Card. Spend $40,000 on eligible purchases on your Card in a calendar year and you can earn Hilton Honors Diamond status through the end of the next calendar year. Earn 75,000 Hilton Honors Bonus Points with the Hilton Honors American Express Card after you use your new Card to make $1,000 in eligible purchases within the first 3 months of Card Membership. Earn 7X Hilton Honors Bonus Points for each dollar of eligible purchases charged directly with a hotel or resort within the Hilton Honors portfolio of brands. Earn 5X Hilton Honors Bonus Points for each dollar of eligible purchases at U.S. restaurants, U.S. supermarkets, and U.S. gas stations. No Foreign Transaction Fees. Enjoy international travel without additional fees on purchases made abroad. Enjoy complimentary Hilton Honors Silver status with your Card. Plus, spend $20,000 on eligible purchases on your Card in a calendar year and you can earn an upgrade to Hilton Honors Gold status through the end of the next calendar year. Get rewarded for business as usual. Earn 2X Membership Rewards® points on everyday business purchases such as office supplies or client dinners. 2X applies to the first $50,000 in purchases per year, 1 point per dollar thereafter. Enjoy the flexibility to put more purchases on the Card and earn rewards when you buy above your credit limit*. You've got the power to use your Card beyond its credit limit* with Expanded Buying Power. More buying power for your business means more opportunities to earn points. That's everyday business with the Blue Business Plus Card. *The amount you can spend above your credit limit is not unlimited. It adjusts with your use of the Card, your payment history, credit record, financial resources known to us, and other factors. 0.0% intro APR on purchases and balance transfers for 12 months, then a variable rate, 15.49%, 18.49% or 21.49%, based on your creditworthiness and other factors as determined at the time of account opening. 4X points apply to the first $150,000 in combined purchases from these 2 categories each calendar year. AIRLINE BONUS: Get 25% points back after you use points for all or part of an eligible flight booked with Amex Travel, up to 250,000 points back per calendar year. EXCLUSIVE OFFERS: Get up to 1 year free on subscriptions to both G Suite Basic for up to 3 users and ZipRecruiter Standard, a combined value up to $3,200. PAY OVER TIME OPTION: A flexible payment option to help manage cash flow on purchases of $100 or more. EXPENSE MANAGEMENT TOOLS: Connect to Quickbooks, access SpendManager℠, receive a Year-End Summary, and more. Earn a $150 statement credit after you spend $1,000 in purchases on your new Card within the first 3 months. 2% Cash Back at U.S. gas stations and at select U.S. department stores, 1% back on other purchases. Low intro APR: 0% for 15 months on purchases and balance transfers, then a variable rate, currently 15.24% to 26.24%. Paying early pays off: Get a 1.5% discount when you pay early, with no cap on what you can earn back. Take up to 60 days to pay with no interest, if you pay your minimum due. Use the power of the Plum Card to buy big for your business. Unlock new opportunities with a spending limit that can grow with your business. Additional Employee Cards at no annual fee - and an early pay discount on employee spending. Earn 35,000 Membership Rewards® Points after you spend $2,000 on eligible purchases with your new Card within the first 3 months. Earn 4X Membership Rewards® points at U.S. restaurants. Earn 4X Membership Rewards® points at U.S. supermarkets (on up to $25,000 per year in purchases, then 1X). Earn 3X Membership Rewards® points on flights booked directly with airlines or on amextravel.com. Earn up to $10 in statement credits monthly when you pay with The Gold Card at Grubhub, Seamless, The Cheesecake Factory, Shake Shack, and Ruth's Chris Steak House. This is an annual savings of up to $120. Enrollment required. $100 Airline Fee Credit: up to $100 in statement credits per calendar year for incidental fees at one selected qualifying airline. 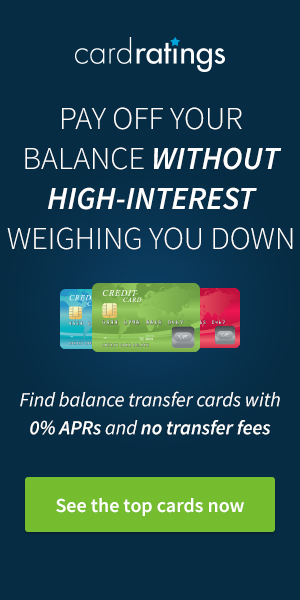 Choose to carry a balance with interest on eligible charges of $100 or more. Earn 5% cash back on the first $50,000 spent at wireless telephone services purchased directly from U.S. service providers and U.S. office supply stores. Earn 10,000 bonus miles after spending $500 in purchases on your new Card in your first 3 months of Card Membership. Earn 2 miles per dollar at US restaurants. Earn 2 Miles per dollar spent on purchases made directly with Delta. Earn 1 mile on every eligible dollar spent on other purchases. Receive a 20% savings in the form of a statement credit after you use your Card on eligible Delta in-flight purchases of food, beverages, and audio headsets. Earn a $150 statement credit after you spend $1,000 or more in purchases with your new Card within the first 3 months of Card Membership. Unlimited 1.5% Cash Back on your purchases. $0 plan fees for plans set up during your first 15 months of Card Membership with Plan It®, a feature that lets you split up big purchases into monthly payments with a fixed fee. 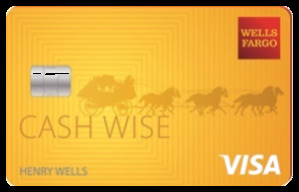 Earn 5,000 Medallion® Qualification Miles (MQMs) and 35,000 bonus miles after you spend $1,000 in purchases on your new Card in your first 3 months. Plus, earn a $100 statement credit after you make a Delta purchase with your new Card within your first 3 months. Check your first bag for free and save up to $50 on a round trip Delta flight. Enjoy 20% savings on eligible in-flight purchases in the form of a statement credit with the American Express Delta Card. Earn 2 Miles per dollar spent on purchases made directly with Delta. Earn 1 mile on every eligible dollar spent on purchases. Miles don't expire. 0% Intro APR for 12 months on purchases and balance transfers, then a 15.24%, 19.24% or 25.24% variable APR. 7,500 bonus points after your Cardmember anniversary. $75 Southwest® travel credit each year. 4 Upgraded Boardings per year when available. 20% back on in-flight drinks and WiFi. 2 points per $1 spent on Southwest® purchases and Rapid Rewards® hotel and car rental partner purchases. 1 point per $1 spent on all other purchases. 6,000 bonus points after your Cardmember anniversary. No blackout dates or seat restrictions. Redeem your points for flights, hotel stays, gift cards, access to events and more. 3,000 bonus points after your Cardmember anniversary. Limited Time Offer: Earn 100,000 bonus Marriott Bonvoy points after you use your new Card to make $5,000 in purchases within the first 3 months. Offer ends 04/24/2019. 6x points at participating Marriott Bonvoy hotels. 4x points at U.S. restaurants, at U.S. gas stations, on wireless telephone services purchased directly from U.S. service providers and on U.S. purchases for shipping. 2x points on all other eligible purchases. Receive 1 Free Night Award every year after your Card account anniversary. Plus, earn an additional Free Night Award after you spend $60K in purchases on your Card in a calendar year. Awards can be used for one night (redemption level at or under 35,000 Marriott Bonvoy points) at a participating hotel. Certain hotels have resort fees. Enjoy complimentary Marriott Bonvoy Silver Elite status with your Card. Plus, earn Gold Elite status after making $35,000 in eligible purchases on your Card in a calendar year. Double Cash Back: Earn 3% cash back on all purchases in your first year up to $20,000 spent. Advertiser Disclosure: The credit card offers that appear on AwardWallet are from credit card companies from which we receive compensation. This compensation may impact how and where products appear on AwardWallet (including, for example, the order in which they appear). AwardWallet does not include all credit card companies or all available credit card offers. Editorial Disclosure: The editorial content on this page is not provided by any bank, credit card issuer, airlines or hotel chain, and has not been reviewed, approved or otherwise endorsed by any of these entities. Opinions expressed here are author's alone, not those of the bank, credit card issuer, airlines or hotel chain, and have not been reviewed, approved or otherwise endorsed by any of these entities.